We’re having canoes for dinner! Wait…what? You see, the word “canoa” is Spanish for canoe, which just so happens to be what plantains look like, no? 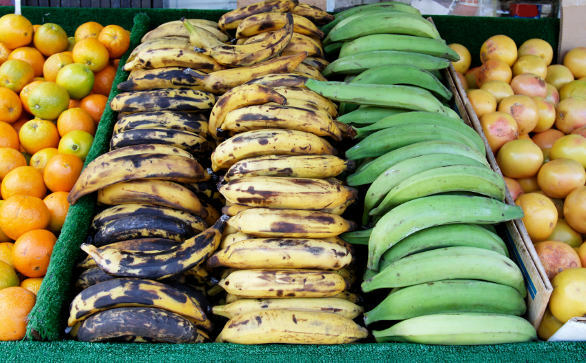 These sweet plantains are the ripe version of a green plantain. 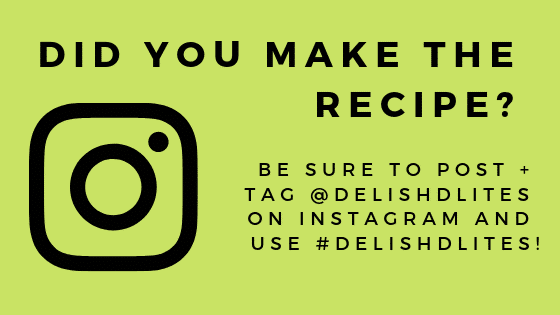 Instead of frying the plantains whole, we’re going to lighten up this traditional dish by baking the plantains, so they nice and soft and the sweetness intensifies. 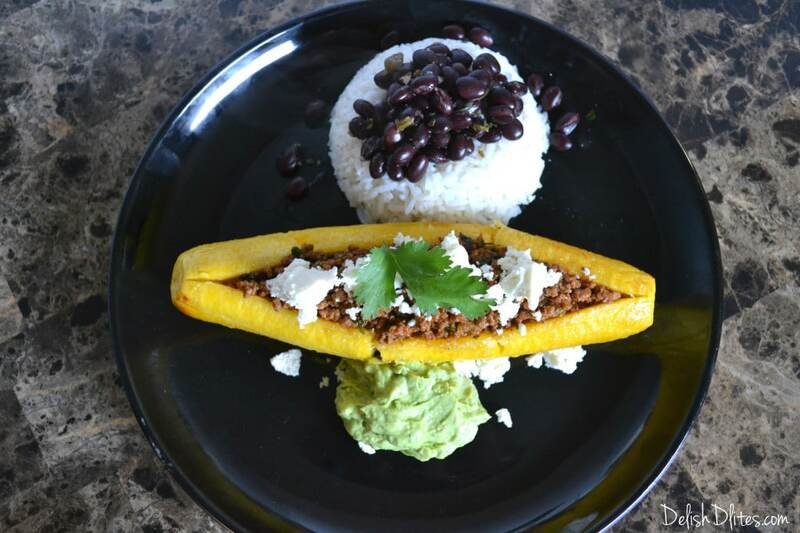 Then, we’ll fill the inside of the plantain with delish Cuban-style picadillo, for a sweet and salty dish that’s packed with flavor, and light on the waistline. 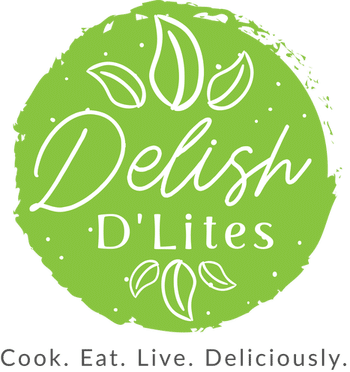 These stuffed sweet plantains are paleo and gluten-free, and are my favorite way of eating sweet plantains! 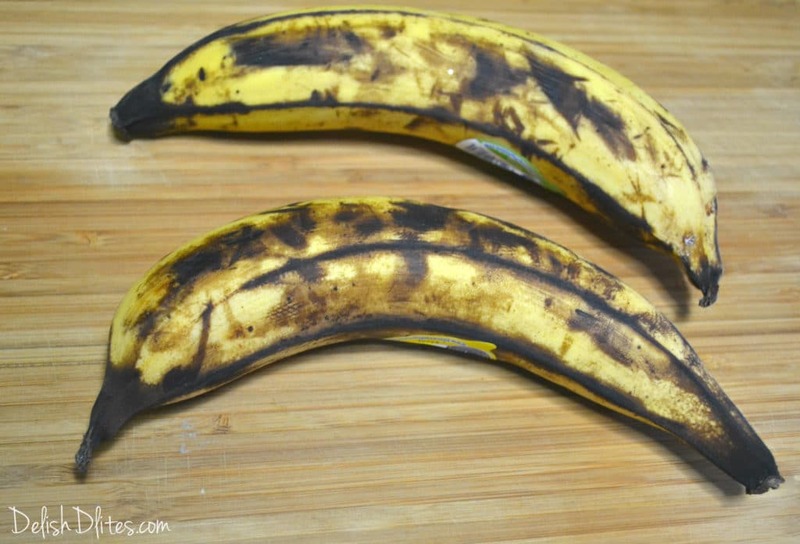 For this recipe, you’ll want plantains that are yellow with lots of black spots. That means they’re sweet but still firm enough to hold up to the stuffing process. If the plantain is completely black, it will be too mushy for this recipe. So now, let’s make canoas! Cut the ends off the plantains. 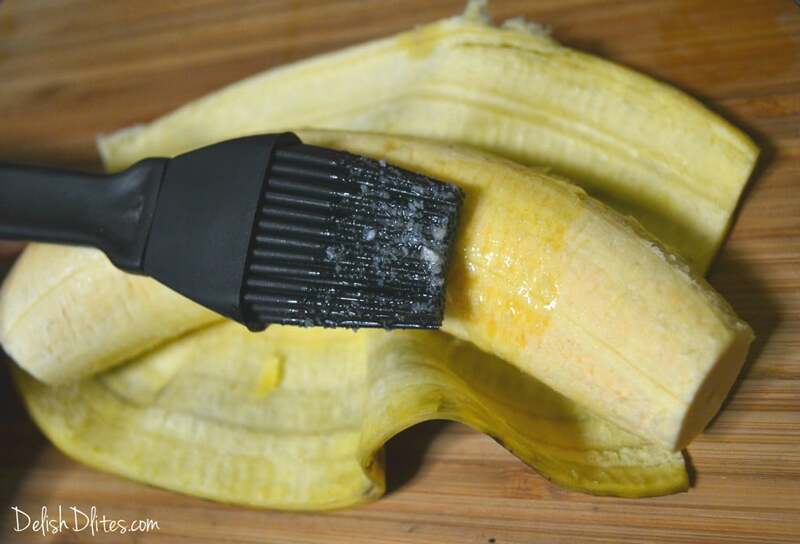 Wrap the buttered plantain with it’s peel, and place the plantain on a baking sheet. The peel with keep the plantain moist while it’s cooking. Bake the plantains for 40-45 minutes, until cooked through and fork tender. Let the plantains cool to the touch before stuffing them. To make the plantains stand up, cut a small portion from the outer curve to make a flat surface. 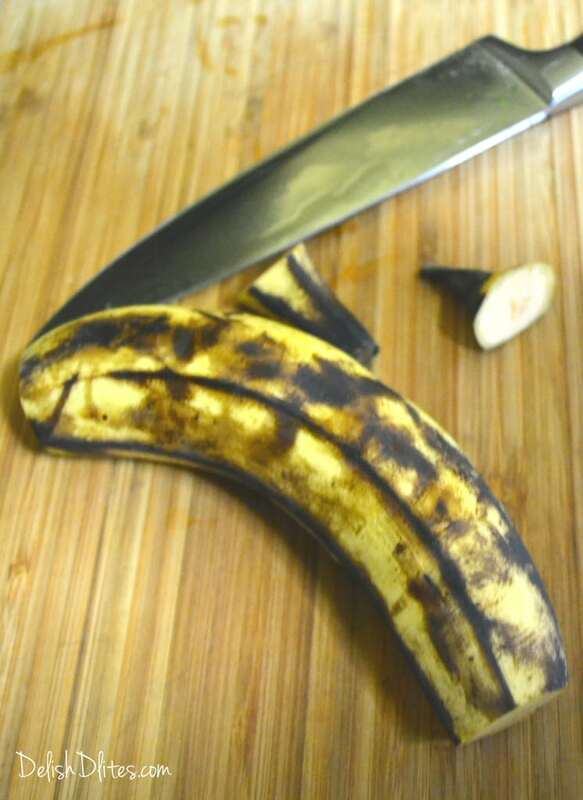 Then, cut a horizontal slit down the length of the plantain, making sure not to cut too deep. Use the knife to push the slit apart, to create an opening for the stuffing. 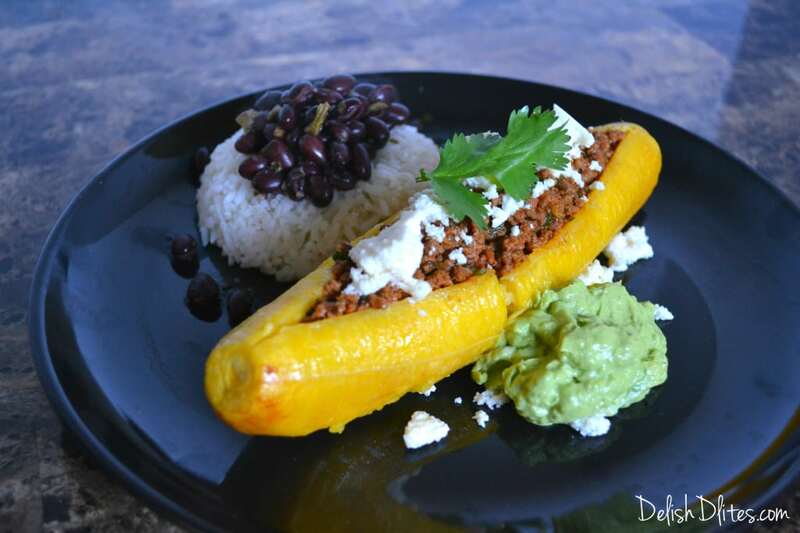 Fill each plantain with 1/4 cup of the picadillo filling, then sprinkle with queso fresco, if desired. Place the stuffed plantains back into the oven for 10 minutes, to heat the filling. Serve with rice and beans for the perfect meal! 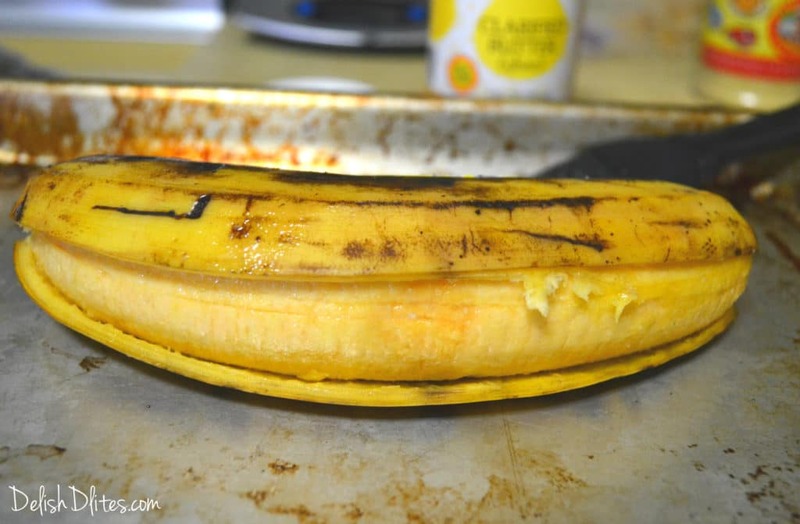 Wrap the buttered plantain with its peel, and place the plantain on a baking sheet. The peel with keep the plantain moist while it's cooking. 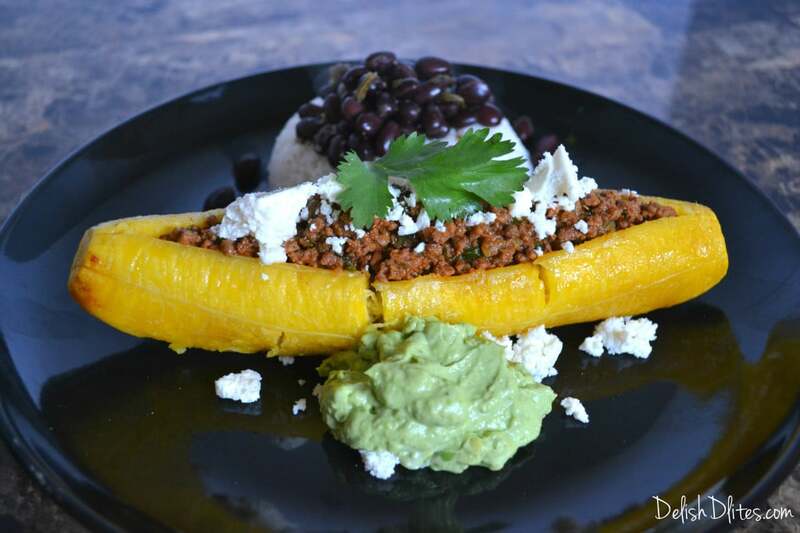 Fill each plantain with 1/4 cup of the picadillo filling, then sprinkle with queso fresco, if desired. 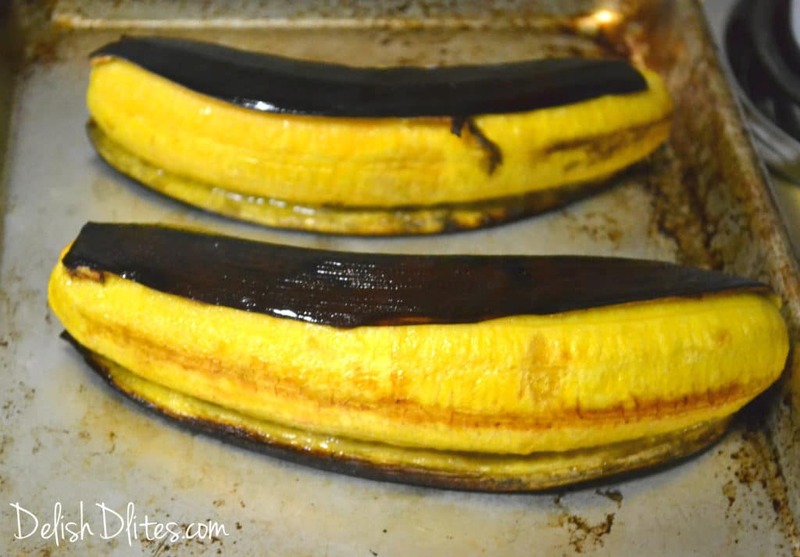 Place the stuffed plantains back into the oven for 10 minutes, to heat the filling. Serve hot. I know this is several years old, butI just came across your recipe looking for different ways to make canoas. Your’s looks great. I can’t wait to try it. I also have a fun fact, bit of trivia for you: Technically the word canoa is not actually Spanish. It’s actually one of many words derived from the Taino Indian language. The original word is Kanowa which means boat. Do a google search on on Taino words to learn more about all of the words that have been adopted from the Taino Indians. You’ll be amazed. Looks delicious! Lo tengo que tratar! Gracias Javi! Son super delicioso!